Join Berg Adventures International for a magnificent journey to the lofty summit of Aconcagua, the rooftop of the Western Hemisphere. As the highest peak in the world outside the mountains of Asia, Aconcagua is just 80 miles/128 km from the Pacific Ocean, yet it rises 22,841ft/6,961m into the sky - a massive, dominating presence towering high over Argentina and all of South America. Aconcagua is perhaps one of the most underrated challenges in the mountaineering world. Many who set out to climb to the summit never come close. However, BAI teams consistently succeed in achieving our mountain objective. Our expedition expertise on Aconcagua has helped us to perfect our itinerary to give you the extra advantage you need to reach the top. Approaching the summit from the northeast, we will use Plaza de Mulas as our comfortable base camp. From there we will slowly progress up the mountain and we will spend our final night before the summit sleeping at Berlin Camp at 19,000ft/5,790m. Climbing Aconcagua is physically demanding. Expect weather conditions to range from intense heat in the sun to snow and high winds as you near the summit of the mountain. Everyone will gain valuable experience in living well on a mountain and dealing with strenuous challenges. You will need to be in excellent physical condition, though no climbing or mountaineering experience is necessary. Begin training today to make the most of your adventure! 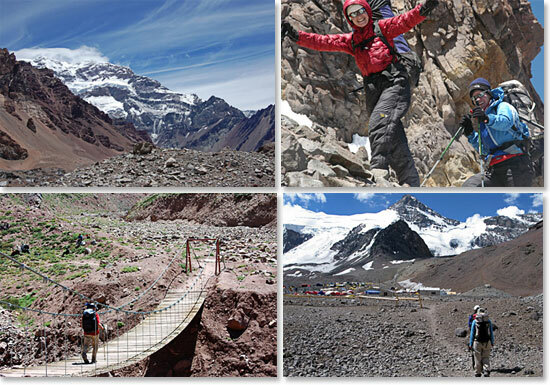 View our previous Aconcagua dispatches. 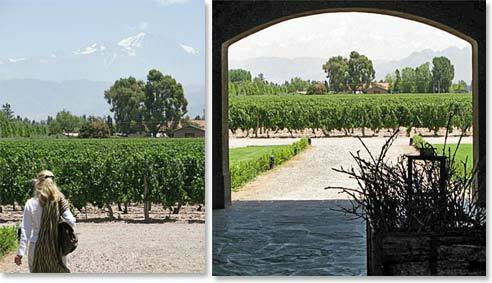 Mendoza, our staging city, is located in the heart of Argentina’s wine country. Wine connoisseurs should not miss the opportunity to embark on a wine tasting tour and for those hoping to unwind after the climb, the tree-lined streets of Mendoza serve as a great place to relax. While every Berg Adventures trip to Aconcagua incorporates a day in the city of Mendoza, including an optional visit to a local winery to celebrate our climb, there is always more to see and do. If you are interested in extending your trip to give you more time to explore, we are happy to help you make arrangements. Read about the Mendoza Wine Tour and our article “Things to Do in Mendoza” to learn more.